Back in March we had mentioned that Diners Club had expanded their lounge access program (this is the program where you use your Diners Club card not the Priority Pass that also comes with the card) and now they have expanded it even further. In March the total number of lounges you could access with your Diners Club card was just 350 and that has now grown to over 400. Of particular interest to us Canadians is the expansion of the program to include more lounges in Canada. After the first expansion only the KLM Crown Lounge in Toronto was participating but now there is access to lounges in Calgary (2), Montreal, Quebec City and Winnipeg. A quick glance at the list of lounges shows a large increase in the amount of lounges one can access south of the border. This card keeps getting stronger after a bit of a lull when it was be pawned off by Citibank and we here at Rewards Canada can only anxiously await its return to the general public. Meanwhile us current cardholders can sit back and relax..... in one of the many more lounges now available. Entry Conditions Cardmembers must present their Diners Club card. Maximum 3 hour stay. Dress code applies (no shorts, baseball caps or football shirts allowed). Non-smoking. Amenities Offered Air conditioning, Disabled access, Flight monitor, Newspapers, Magazines, Conference facilities, Internet, Wi-Fi, Telephone, TV, Snacks, Soft Drinks and Alcoholic beverages. Fees Cardmembers please check with your issuer for terms and conditions of lounge access. Children under 2 years are admitted free. Guest fee - US $27. Entry Conditions Cardmembers must present their Diners Club card. Maximum 3 hour stay. Non-smoking. Amenities Offered Air conditioning, Disabled access, Flight monitor, Newspapers, Magazines, Internet, Wi-Fi, Telephone, TV, Snacks, Soft Drinks and Alcoholic beverages. Entry Conditions Cardmembers must present their valid Diners Club card. Non smoking. Amenities Offered Air conditioning, Fax facility, Internet access, Wi-Fi, Newspapers, Magazines, Telephone, Television, Snacks, Soft drinks, and Alcoholic beverages. Fees Cardmembers please check with your issuer for terms and conditions of lounge access. Guest fee - $25 USD. Lounge Location Airside - after Security Checks and Passport Control, the Lounge is located on the 2nd Floor of the main departure lounge, adjacent to Gate H. Due to it's location, the lounge is not accessible to passengers traveling on transborder flights to the US. Fees Cardmembers please check with your issuer for terms and conditions of lounge access. Guest fee - US $27. For the summer travel season Air Canada is offering its elite members greater access to upgrading from Tango Plus fares for travel within Canada and between Canada and the U.S.. Super Elite and Elite members are being offered reduced amounts of eUpgrade credits while Prestige members will be allowed to request upgrades from Tango Plus fares. The promo runs from Jun 24 to Aug 31. Thanks to the latest enhancement from Blogger, the Rewards Canada blog is now optimized for mobile browsing. There is nothing that you have to do on your end, just point your phone to http://blog.rewardscanada.ca and it will automatically switch to the mobile version. I know that if any of you tried our blog before on your phone that our iFrame above with our route listings didn't size properly on some phones so you would see the entire route listing before you saw any blog posts. This is now corrected with the new mobile feature. 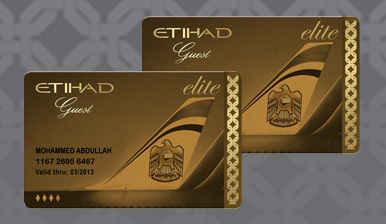 Etihad Airways Guest Rewards program has added a new tier to their elite status levels called Gold Elite. Gold Elite is the now the highest status level you can reach with Etihad. Guest members who earn 125,000 tier miles or 60 tier segments within a 12 month rolling period will be awarded the new Gold Elite Status. What does the Gold Elite status bring to table over and above the benefits in the lower tiers? For complete details on this new tier please see here. With quite a few new developments in the airline and travel rewards industry I thought it would be better to round up all the news snippets in one blog post rather then inundating you with multiple posts. Tying in to some of our earlier blog posts and interviews in the Canadian media about Aeroplan's 7 Year expiry, this new feature can be found when you log in to your Aeroplan account. Once logged, click on the 'Your Account' tab and about 1/3 of the way down there is a heading labeled "Account Expiry Status" and there you will find the link to inquire about when your non-redeemed miles are set to expire. The response is not automatic, you will receive an email within 3-4 business days with your mileage status or if they do not have an email address on file you can expect a letter to be sent to you within 20 business days. The subsidiary of China Southern Airlines (already a member of SkyTeam) is planning on joining the SkyTeam alliance. The airline was approved for membership by the alliance and is slated to be a member by the end of 2012. This time the increase in bag fees is for International flights. The first checked bag still flies free but a second bag on United Continental has been increased to $70. Delta new charges are $60 for a second bag if checked online and $75 if checked at the airport. For Delta flights to Mexico and Central America the second bag no longer travels for free as they have now implemented a $30 fee. Earlier this month MAS announced their plan to join the OneWorld Alliance and expects to have full membership within 12-18 months. AZ's offer will provide MilleMiglia members with a 40% MilleMiglia bonus on each reward ticket that is redeemed for. That is, if you redeem for an economy class ticket between New York and Milan for 50,000 MilleMiglia miles, they will provide you with 20,000 bonus miles afterwards. This offer is good on all standard reward tickets in all booking classes, so the higher the redemption value the higher the bonus. This offer runs until June 30, 11. For complete details please see here. Etihad's offer also provides members with bonus miles after redemption but in EY's case you have to complete 5 reward ticket redemptions. All five redemptions do not have to take place at the same time but all have to be booked by July 31. Once you have completed all 5 bookings, Etihad will award you with bonus miles equivalent to the lowest value booking out of your 5 redemptions. to make the most of this offer you will want to try to go for some bigger redemptions to ensure a bigger bonus is returned to you, nonetheless whatever route you go you will end up with enough miles for another redemption at that lowest level. For Example: you redeem for 4 business class tickets between North America and Abu Dhabi at 140,000 miles each but then redeem your 5th one for economy class for 70,000 miles, your bonus would be 70,000 miles or enough for another economy class ticket from North America to Abu Dhabi. Full details and registration for this promotion can be found here. You may ask why offer bonus miles on redemptions? Why not just discount the reward ticket as that would be easier? The primary reason is that with a discount there is no guarantee you may come back to fly that airline and use their FFP again. By offering you bonus miles after the fact you are being encouraged to continue using that FFP and its partners to earn more miles within the program. In fact promos like these kill two birds with one stone, they promote redemption and lower mileage balances on the FFP's books while potentially keeping the member active in the program. British Airways is currently running a sale on Business Class fares from Canada to London for the summer season. Fares start at $2698r/t (+taxes &fees) for travel Jun 28 - Sep 3 and need to be booked by Jun 16. This weekend, from June 16-19 Aeroplan members can earn 5X the Aeroplan miles on all Home Hardware purchases. Simple as that. Despite a possible looming strike by some of their front end workers, Air Canada states they will continue on with a full schedule but should the airline slow down operations you can still get a good Aeroplan mileage fix with Best Western this summer. Due to the possible strike these offers are great for those who may be planning a 'stay-cation' here in Canada as many small towns don't have the higher end Sheratons, Hyatts and Marriotts but do have BW's. What are the offers? There are two currently running for Air Canada's Aeroplan members. The first (which should be your first step in racking up the miles this summer) is for buying Best Western gift cards or as they call them Travel Cards. You can earn 1,500 bonus Aeroplan miles for every $100 spent on a Best Western travel card. This offer runs until August 31, 2011. The second offer is part of Best Western's summer system wide promotion whereby members will earn 750 bonus Aeroplan miles for every stay completed at a Best Western. This bonus is above the 250 base Aeroplan miles earned for each stay. The offer is valid for stays between June 19 and August 14, 2011. The offer requires membership in the Best Western Rewards Program (free to join) with your earning preference set to Aeroplan and registering for the offer itself. Here a couple of examples of how many miles you could get with this promotion (assuming a nightly rate of $125). Not a bad deal if you are planning some BW stays this summer and of course the stays don't have to be in Canada. In fact a lot of Best Western's in the U.S. can be had for under $100 per night which means you could stretch a $1000 in travel cards to 10 stays which would get you Gold Elite status in Best Western's Rewards program and put you over the 25,000 mile mark good enough for an Aeroplan reward flight within North America. Only the first 500 users will benefit from the 15% discount. According to Airline Route Updates, Air Canada is further expanding its reach in the sun destination market with flight to three new cities and four new routes destinations previously served from other Canadian cities. The three new destinations are Curacao, St. Kitts and St. Thomas. All three will be served with direct non-stop flights from Toronto. I have not seen much news on this but according to this SriLankan newspaper, the national airline, SriLankan will begin to serve Toronto this October via London Heathrow. Apparently the service will be daily and would provide another option for those looking to go to the Indian Sub-continent or Southeast Asia. For the third year in a row Rewards Canada will be ranking Canada's Top Travel Rewards Credit Cards but this year we are also having Canada vote for their favourites. Canada's Rankings will be listed alongside of Rewards Canada's on July 18th.